When you don't want to worry about matching components, and just want a system that works as a cohesive, musical whole, this is the page to bookmark. Check back as we post a range of audio systems from around the store. First, the ASC1 isolates noise and sends a pure optical digital audio signal to each MPS1 monoblock without loss or degradation. Second, each MPS1 receives the digital signal from the ASC1, re-clocks the data, converts the signal to analog and amplifies it. 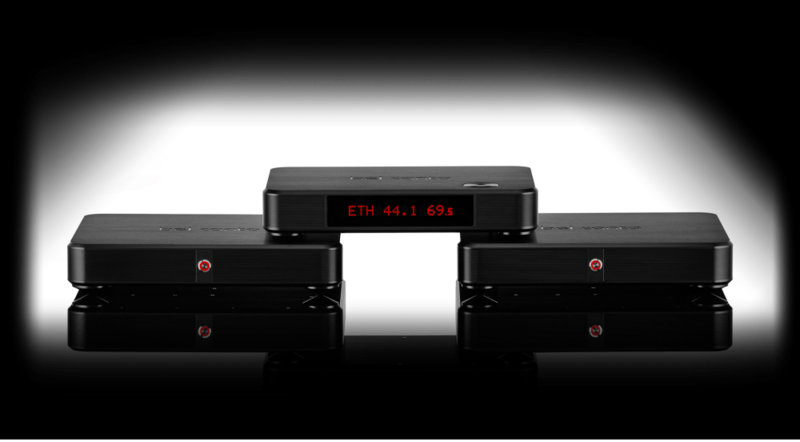 Critical to its performance is the proximity of the DAC to the amplifier, set only 3cm apart and isolated within the MPS1. This eliminates the need for added I/O circuitry, preserves signal accuracy and creates a more synergistic system. The Black system architecture incorporates numerous Bel Canto developed electronic and mechanical design solutions aimed at preserving the delicate audio signals. Digital processing and asynchronous interfaces driven from Ultra Low Noise Master Clock circuitry ensures external noise from sources cannot corrupt, modify or color the original signal. 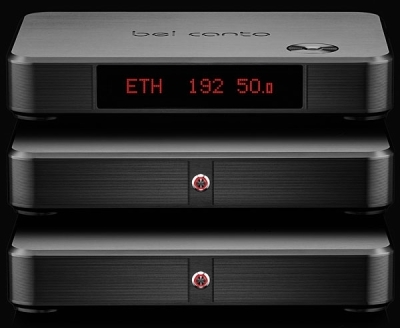 Bel Canto’s ST fiber interconnect electrically isolates the ASC1 from the rest of the system, preventing random external noise from impacting sensitive analog stages in the MPS1 monoblocks. This eliminates ground loops and electrical noise pickup from environmental RF noise sources ranging from WiFi, Bluetooth, computers, cell phones or any other noise sources. Michael Fremer reviewed the Black in Stereophile in June 2015. He wrote, "First, this system is the best-sounding implementation of class-D technology I've heard, especially with digital sources. After every digital listening session, I concluded, 'If you're going to go digital, this is the way to go'—by which I meant: Keep the signal in the digital domain until just before it's sent to the speakers." Joël Chevassus reviewed the Black in the March 2015 issue of Six Moons Audio . He wrote, "The Bel Canto Black was the most transparent system I've ever heard, period. The most spectacular aspect of it was the nature of the stereo image. ... The stereo image remained incredibly structured without any artificial isolation between different recorded sources. Each instrument had its place as though it were truly present." Own this amazing digital system for a fraction of the retail price, and yet, have the pleasure of unboxing it as if new! This system retails at $50,000, and the Sunny System Special Sale price is $29,950.